If what they want is to know Granada Center and monuments thoroughly, what they need is this kind of personal tour, where they can stroll through the center of the city, visit the Royal Chapel, where are buried the Catholic Monarchs and contemplate its small museum with its magnificent collection of paintings Flamencas, enter the first Renaissance cathedral in Spain, meet old Madrassa Muslim university, walk through the labyrinthine streets of the Alcaicería, old Moorish silk market and finally visit the Corral del Carbon Arabic era where merchants rested with their valuable goods. 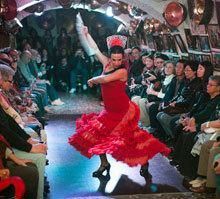 In this mode of tour IS NOT included transport ni entradas. usually the entrance of the Royal Chapel. 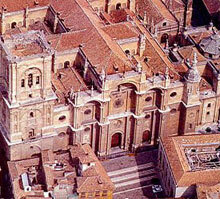 Price visit for the group / service, € 175+ TICKETS (5 € Capilla Real +5 € Cathedral) € 10 per person. (VAT included). 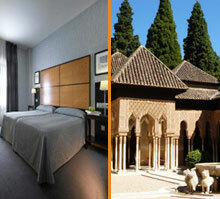 * The price of this visit will increase 210 € on Saturdays and holidays. Group: 1 to 30 people (maximum allowed). 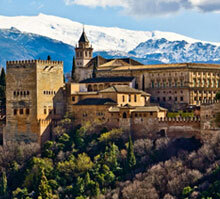 Walk through the City Centre, Royal Chapel, Cathedral, madrasa, Alcaicería and Corral Coal.